Last Sunday’s cover page of The Journalist features a troup of loud monkeys goading a horse and a couple of cranes to continue pushing for state funding. The Journalist is right: no matter how you look at it, state funding for political parties is indeed monkey business. But The Journalist is also wrong: the horse wants no part of the monkey business, so it should not be there. The Constitution does not permit state funding for political parties – plain and simple. So there’s no point in arguing about the need for state funding. If state funding is needed – and needed critically – then first amend the laws. Otherwise, no matter how state funding is justified, it must ultimately be subjected to the laws of the land. Last week, Parliament authorized the government to review the mandate of BBS. I’m against the government meddling in BBS’s affairs. But our lawmakers feel that the country’s only TV station is underperforming. And that the government should intervene to give BBS vision and the means to achieve that vision. So what’s the first move that the government makes? It directs BBS to go 24/7. And it does so without consulting anyone in BBS. Our national broadcaster struggles to generate sufficient content for the five hours it goes on air each day, and the government, unilaterally, directs BBS to broadcast round the clock. This directive does not augur well for television in Bhutan. BBS is essentially a non-commercial public service broadcaster. So the state should subsidize its operations. How much? That, the government should decide. But the government should not interfere in how BBS is run. That is the job of the Managing Director and the Board of Directors – ultimately they are the ones responsible for ensuring that BBS is able to inform, educate and entertain our people, and for protecting its editorial independence. I’ve just learned that our oldest newpaper, Kuensel, declined to publish a letter concerning the recent media awards. The letter was from Tashi P. Wangdi, popularly called “Tosh”, a former editor-in-chief of Bhutan Observer and one of the senior-most journalists in our country. I’ve also learned that the letter was posted on Kuensel’s online discussion forum, but all twelve comments to the post were removed the next day. 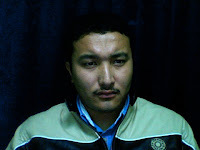 I am, therefore, happy to reproduce Tashi P. Wangdi’s letter here. the end, our submissions were left out. The reason being that we are not in a newspaper anymore. How is it that a contributor can not only get an award but also be on the jury itself? That is the state of affairs with media in Bhutan. It should justly have been called the media mediocrity awards. That media people can shamelessly receive awards when they know that they are incapable of writing a straight sentence even if their lives depended on it says it all. The modus operandi was to first take out the real heavy weights so that the pseudo writers could have the night to themselves. Well so be it. Keep on playing dirty, as long as the government is there to fund it. And by the way, there was no announcement or quotation call for organizing the event. It had to be the usual suspects. So much for transparency. If it is not there in the media, don’t expect it from other quarters. The easiest job in the world is to crib. The task at hand is to provide beter and viable alternatives. OL, let us hear your alternative plans that are more well thought out than just wishful thinking. media people judging themselves will be a bloody melee …. I think we should learn the lessons of this award and make it more credible next time around – you know, no jury winners (what a balony), better and more broadbased jury selection, awards for ‘body of works’ and not one report …. and what not, By teh way, what was the Dashos at the helm of MOIC doing, eating peanuts … how could they let such grave inadequacies slip by? Too busy arranging te folds of their ghos and colourful kabneys??? Until then , let us refrain from cribbing – the easiest job in the world. The reason I raise an issue is to draw attention to it. I do so my sharing my opinions on the issue, fully aware that they are just that: an individual’s opinion. I try not to present solutions. Doing so would take the focus away from the issue. And it would be arrogant. Anyway, I do not have solutions to every problem. And even when I think I have one, that solution may not be the best one. So the idea is to share my opinion on an issue, even if I’m seen to be “cribbing”. I believe that this allows our readers, including kikisoso, to express their considered opinions on the issue. And to discuss how they would address the issue; how they would solve the problem. And this is exactly what kikisoso has done. Kikisoso has expressed critical views on an issue (i.e, cribbed) and called for the awards to be made more credible in the future. I find kikisoso’s views useful. And I hope that the media and the government pay attention to them. As for the “better and viable alternatives” that kikisoso calls for, we fist need to understand the issue. For me the issue is not the credibility of the awards. I’m not cribbing about how the selections were conducted. Or that they may not have been fair. For me the real issue is preventing government involvement and control in the media, no matter how small the risks may appear to be. So when our government organizes the media awards, and must decide who wins and who doesn’t, I’m naturally concerned. I’m worried that our government could, knowingly or otherwise, influence our otherwise promising media. Now for a possible “alternative plan” to minimize the risk of government interference in the media. Many countries have press clubs. And I understand that our media are trying to form a journalists association. Such an association would be the most qualified to decide how to conduct future media awards without unhealthy outside influences. Will that rule out controversy at future awards? No! You can bet that there will be controversy. But remember the issue: government interference in the media. That issue, I can say confidently, would have been addressed. This website now offers a panel, located immediately above my latest entry, that will feature one photograph every week. I encourage readers to share your photographs, particularly those that tell a story which may be relevant to a particular week. This week’s picture, of the Druk Wangyal Chortens in Dochu-la, was taken by Lhendup, a photographer with Bhutan Observer. The 108 chortens were commissioned by Her Majesty the Queen Mother Ashi Dorji Wangmo Wangchuck to commemorate His Majesty the Fouth Druk Gyalpo’s service to the people of Bhutan. In the background, is the Jigme Singye Wangchuck Range. The First Annual Media Award’s prize for Investigative Report of the Year, the award’s most prestigious category, went to Kuensel’s Phuntsho Choden. This came as no surprise. Phuntsho is good. Well done. But what did come as a surprise was Tenzing Lamsang. I dare say that Tenzing has contributed significantly to the development of a free media in our country since returning to Bhutan after a stint with the Indian Express, one of India’s biggest and most respected newspapers. From politics and government to the civil service and business, he’s covered a lot of ground. And he’s done his share of investigating. He works hard: I’ve seen him in action. And he’s brave: I’ve read his stories. So, by our standards, his work is indeed very good. Now what surprised me yesterday was not that he didn’t win. But that he wasn’t even nominated for the investigative report category. In fact, Tenzing Lamsang was not nominated in any of the four categories that he had participated in – his name was not mentioned at all yesterday. I’m shocked. And I’m disappointed.